The ocean racing yachts that will set off on Wednesday’s Sydney Hobart Yacht Race are required to carry radio equipment that includes both VHF and HF radios. This week Federal Labor has announced that if elected to Government next year it will provide $2 million in funding for the ABC, specifically to bring back shortwave radio services across some of Australia’s most remote areas. The Tecsun S-8800 has been a long time coming to the Australian market so we’re very excited that Silicon Chip Magazine has featured this great new addition to our range of radios in their most recent July 2017 magazine! The Tecsun S-8800 review is on Page 57 of the July 2017 issue of Silicon Chip Magazine! Here are some of the great things they had to say about the P-8800. And the Silicon Chip team aren’t the only ones excited about this great new addition to the Tecsun family of radios. Here you can read Garry Cratt’s full review here, and watch the video demonstration! The S-8800 was featured and reviewed in Silicon Chip Magazine alongside the new Tecsun D-008 DAB+ Digital Radio! The Tecsun S-8800 High Performance AM/FM Radio has been designed to provide maximum performance on the AM (MW) bands, allowing listeners to receive fringe AM radio stations with unmatched audio clarity. The Tecsun S-8800 is the only radio in the Tecsun range to provide an infrared remote control in the kit. An absolute luxury for the user as all functions are able to be controlled by the remote. The remote uses standard AAA batteries to make using the remote hassle-free and cheap when it needs recharging. 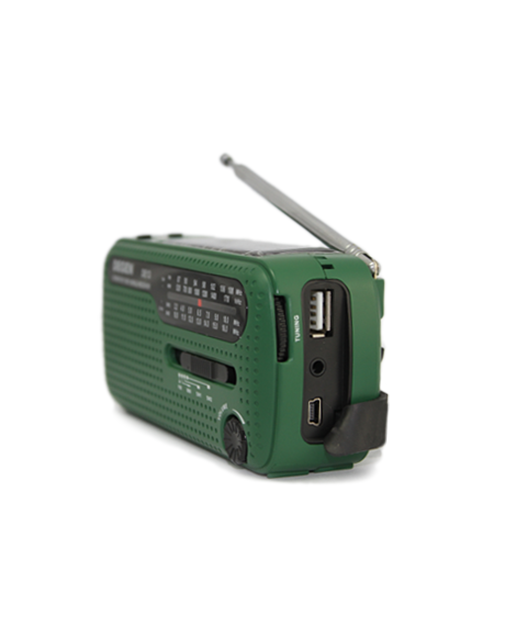 The Tecsun S-8800 is available and in stock now, right in time for Father’s Day! Find out what else is new for Father’s Day! And check our Father’s Day Shipping Schedule to make sure you get what he really wants for Father’s Day on time! Subscribe to Silicon Chip Magazine today to keep up to date with all of our new product announcements and reviews! New from Tecsun Radios … just in time for Father’s Day 2017! Here’s what’s new from Tecsun Radios … just in time for Father’s day 2017! The new Tecsun D-008 DAB+ Digital Radio offers Dad excellent reception of the DAB+ radio services available in most cities in Australia. With a large colour display that shows the selected radio station, current programming, news and weather information when enabled by the broadcaster, the D-008 DAB+ offers Dad superior audio quality with all the bells and whistles he could ask for in a desktop radio! Designed with the radio-lover in mind, the Tecsun D-008 DAB+ Digital Radio can accept an external antenna input for the reception of DAB+ digital radio stations, this mean listeners in areas of fringe reception can utilise a Band III VHF TV antenna to greatly extend the reception range of the receiver. The Tecsun D-008 DAB+ Digital Radio also offers Bluetooth connectivity allowing the connection of smartphones and other audio devices to stream the audio through its large speaker. Connection of audio devices without Bluetooth is also possible via the AUX (Auxiliary) input (3.5mm socket). With a huge range of features, the Tecsun D-008 DAB+ Digital Radio is perfect for every Dad this Father’s Day! 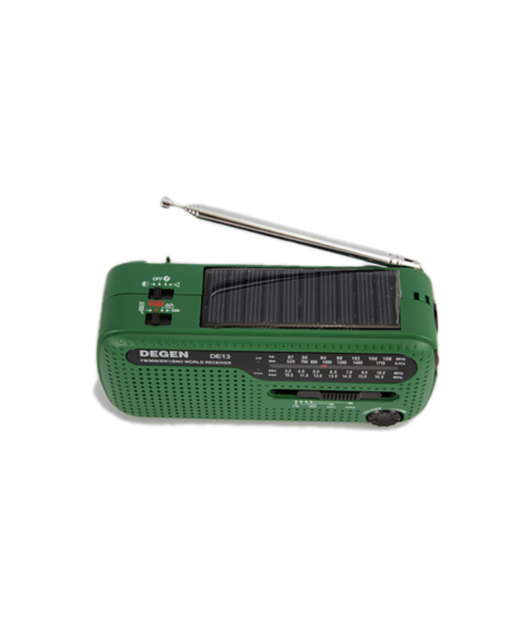 Perfect for the dad who loves camping and bush walking, the Tecsun DE13 Emergency AM/FM/SW solar powered radio is perfect to pack in your rucksack to keep in touch with the rest of the world. The Tecsun DE13 includes an inbuilt solar panel and dynamo hand crank charger to recharge the internal battery on the go. The Tecsun DE13 radio itself can charge other devices like your mobile phone by connecting the radio with a USB or mini USB cable to the device. The radio also features a torch and emergency siren, and its compact size makes it perfect for emergency kits. Severe bushfire, cyclone, and flood emergencies highlight the benefits of having an emergency radio at your disposal. Long after the power has failed, the Tecsun DE13 Emergency AM/FM/SW Solar Powered Radio will keep you in contact with the outside world. With the Tecsun DE13 Emergency AM/FM/SW solar powered radio, Dad will have the confidence of being able to listen to the radio, use a torch, and charge his mobile phone all with one device while he’s camping and bush walking! Click here to check our Father’s Day shipping deadlines to make sure you receive your delivery in time for Father’s Day! https://www.tecsunradios.com.au/store/wp-content/uploads/2017/08/Tecsun-Wordpress-Header-Image.jpg 330 780 Michael https://www.tecsunradios.com.au/store/wp-content/uploads/2015/02/tecsun_logo_Artboard-1-300x112.png Michael2017-08-09 16:05:142017-11-03 09:27:13New from Tecsun Radios ... just in time for Father's Day 2017! Happy Father’s Day, to every dad out there! Check whether your postcode is within Australia Post’s Express Post network here. Have you seen what’s new for Father’s Day 2017? Read our blog post about the exciting new Tecsun models that have been released just in time for Father’s Day! It’s your fast-track to the perfect present! Read here. From finding the perfect radio to arranging delivery, our friendly staff are here to help. The Tecsun PL365 was recently reviewed by Radio Jay on his blog. We’ve had a bit of a play around with the Tecsun PL365 today too! Thanks to Radio Jay for this review very detailed review. Read the full review here. Garry VK2YBX has prepared some great tips and tricks for using the Tecsun PL365. You can read them here. Treat yourself to a great new radio today. Buy the PL365 now. PL680 Reviews – Silicon Chip Magazine and More! The Tecsun PL680 has been a long time coming to the Australian market so we’re very excited that Silicon Chip Magazine has featured this great new addition to our range of radios in their most recent December 2015 magazine’s Product Showcase. The PL680 was featured and reviewed in Silicon Chip Magazine alongside the new Tecsun PL365 giving two of our most popular portable receivers a major makeover, making them even better value for money. The PL680 radio with VHF Air Band is a great radio for communications enthusiasts with the radio providing excellent reception to all of the major frequency bands including AM/MW, FM, Shortwave with SSB, Longwave, and VHF Air Band. The Tecsun PL365 is the only radio in the Tecsun range (apart from the Tecsun S2000 Desktop Radio) to provide an external antenna connection for the AM/MW band. The Tecsun PL365 Radio is an ideal radio to use for AM/MW EMI surveys because of its external AM antenna, ability to accept customised antennas and display showing signal strength in dBuV. Both radios are available and in stock now, right in time for Christmas. https://www.tecsunradios.com.au/store/wp-content/uploads/2015/02/tecsun_logo_Artboard-1-300x112.png 0 0 Michael https://www.tecsunradios.com.au/store/wp-content/uploads/2015/02/tecsun_logo_Artboard-1-300x112.png Michael2015-11-23 14:08:142015-11-23 14:08:14PL680 Reviews - Silicon Chip Magazine and More! The Tecsun PL365 is the only pocket-sized radio in the Tecsun range that offers an external antenna connection. It’s easy to use, portable and comes with a great list of features to make this pocket-radio perfect for the outdoors and for use as an emergency radio. The PL365 is configured so that when the user selects 9Khz channel spacing on the AM broadcast band (as used in Australia) the frequency coverage is set to 522 -1620 Khz. This means that when a user tunes across the AM broadcast band in Australia, the receiver increments in 9Khz steps, which conforms to the ACMA MW bandplan. With the PL365 OFF, press and hold the FM button to select either 76-108Mhz or 88-108Mhz. Whist the PL365 is not supplied with rechargeable batteries, it is possible to fit rechargeable Ni MH batteries and utilise the USB changing socket. The recommended Tecsun batteries are 1000mAh capacity. The PL365 has internal charging circuitry to cater for this. Tecsun Radios Australia can supply batteries, USB lead and charger, shown in the Tecsun website and catalogue under “accessories”. Get your own PL365 here and find out what all the fuss is about! Thanks to Garry VK2YBX for these great tips and tricks.